With 2017 just a few short days away, we’re ringing in the new year with the perfect bar cart! 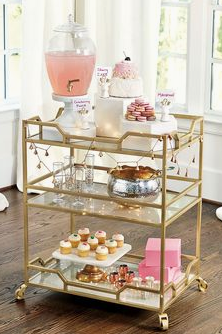 A super fun and super chic way to serve your guests for NYE, and styling your bar cart can be fun and creative and instantly elevates your room. Flowers, beautiful decanters, gorgeous glasses, and festive straws and napkins can make your bar cart chic and stylish ~ Check out KF’s bar cart style inspo below for some ideas to design yours! 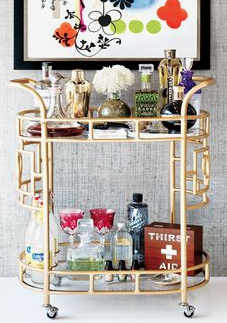 Purchasing the right bar cart is the first step! Choose a cart that has style and the right structure for your space. 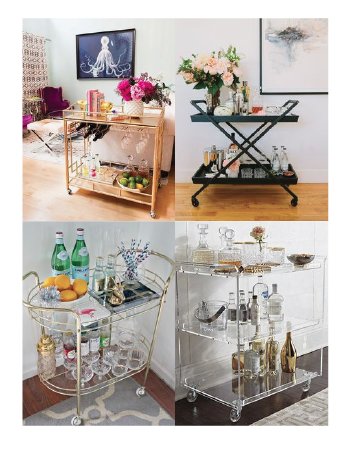 A circular bar cart might take up less space but add more dimension to your room, whereas a square one with two shelves may be just the right filler for a small wall and serves double duty with extra storage. It truly depends on the space in your room and the look you want to achieve! We are obsessing over these gorgeous pieces! 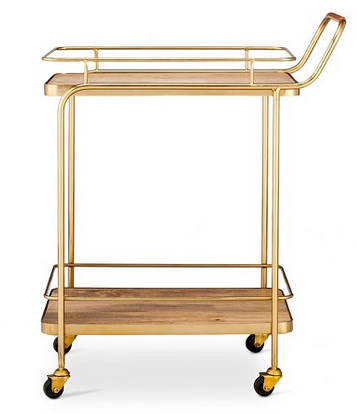 A classic gold cart goes well in almost any home. 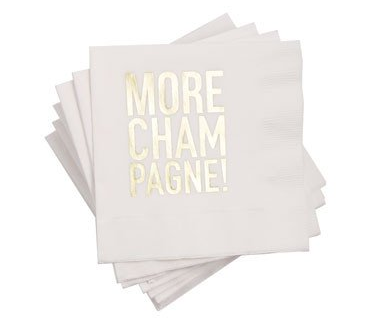 See one similar to this at Target or if you prefer a circular shape, try this one below from Pottery Barn! The mirrored shelves also add a unique and glamorous touch. 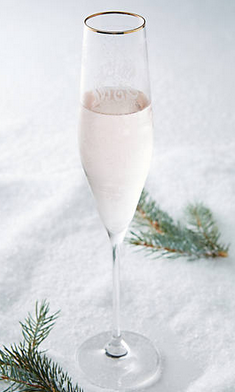 Spruce up your bar cart with your fave bubbles! 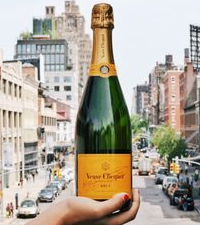 Keep your eye out for unique bottles that may be limited edition or colorful, artsy bottles that will complement your bar cart perfectly. Next is glassware! 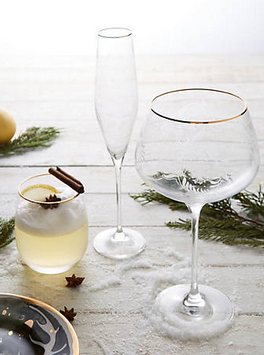 Pretty champagne and cocktail glasses are a must. Find these gorgeous stems at Anthropologie! 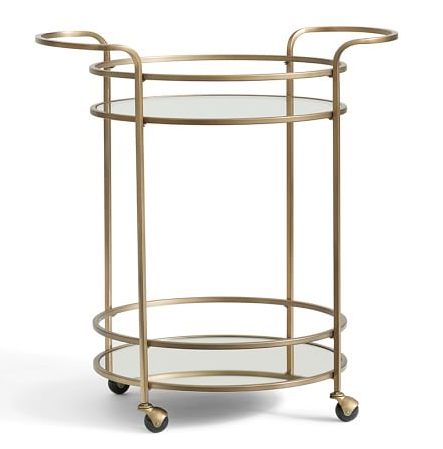 These are elegantly refined and the perfect edition for any stylish bar cart. 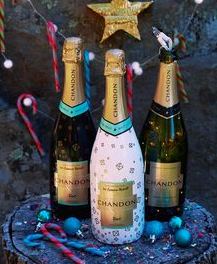 Shakers and ice buckets are also essential editions for function and proper entertaining.